Camo'd CUV lands Volkswagen in hot water as Kia sues for "brand damages"
Raph Orlove described the disguised car as “so bland VW disguised it as a Kia.” Apparently, Kia themselves took notice - and umbrage. 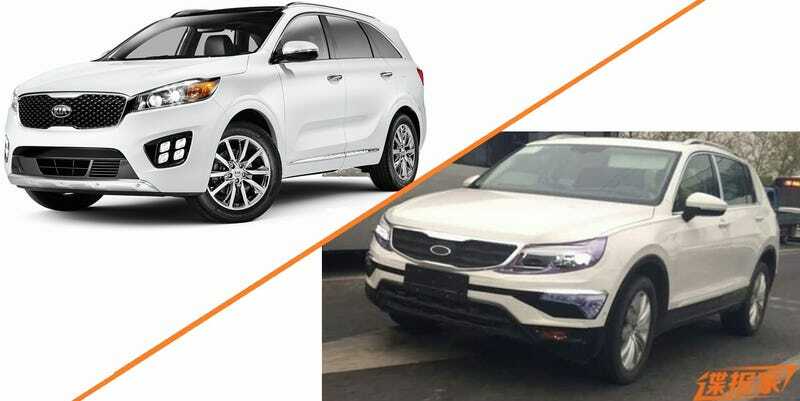 Details of the brand-new lawsuit are sparse, but given the “brand damaging” allegation it can be surmised to have something to do with the car being vaguely disguised as one of Kia’s products. It’s common for manufacturers to disguise products undergoing testing as those of their competitors, so it’s highly unusual for a competitor to sue on trademark grounds, especially when no explicit trademarks are even applied to the offending car in the first place. One has to wonder if maybe the source of the Korean automaker’s outrage is related to Raph’s sentiment of the new Vee-Dub being so anonymous it can be confused with a Kia with very little embellishment. Kia, after all, very heavily markets their cars under the image of excitement and the exact opposite of anonymity, as emphasized by one of the last Super Bowl’s most popular commercials. Given the flimsy case, one has to expect Kia’s legal team not being able to go very far, but it does show that the brand takes their image of excitement, individuality and not being anonymous very seriously.